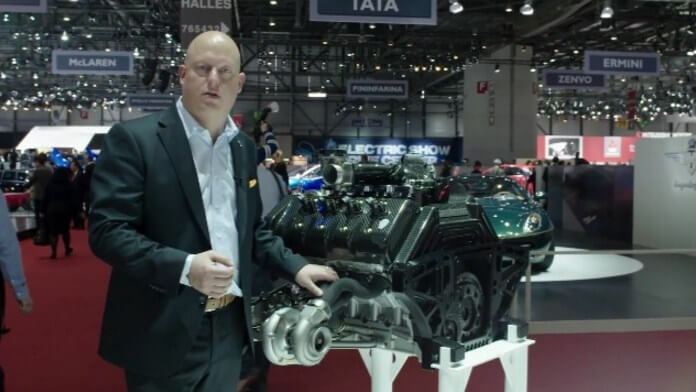 The Koenigsegg One:1's 3D Printed Variable Turbo Is a Masterpiece! Swedish automaker Koenigsegg is celebrating its 20th birthday this year and for the occasion, the company has unveiled the Agera One:1, also titled as the “world’s first megacar”. It is the first production car that offers a 1:1 power to weight ratio — it weighs 1340kg and produces 1322bhp (1340 metric horsepower). 3D printing has undergone something of a renaissance in recent years and a perfect example is Koenigsegg One:1’s 3D Printed Variable Turbo. Christian von Koenigsegg showcases the One:1’s patented variable turbo, providing the perfect boost for any RPM level. Fully 3D printed, with moving parts printed within the enclosed chamber, something never done before. Both of the turbochargers at the heart of the “world’s first megacar” One:1‘s 5.0-litre V8 are fully variable, producing just the right amount of boost pressure at any RPM — reducing lag and pressure spikes, and giving the One:1 a relatively flat torque curve from 4000RPM all the way to its 8250RPM redline.